An improper fraction is a fraction that numerator is bigger than the denominator.9/5 is a improper fraction. 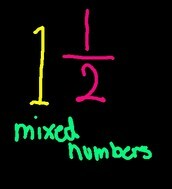 An mixed fraction is a fraction that the numerator is smaller than the denominator.1 1/2 is a mixed fraction. 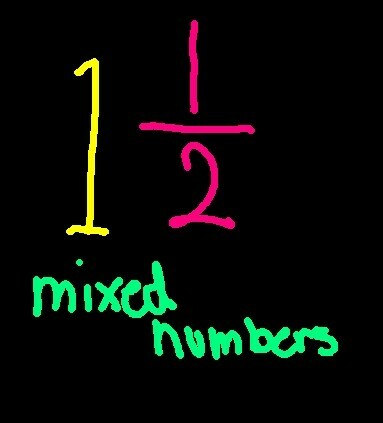 An equivalent fraction is two fraction that are equal .1/2 and 2/4 are equal.A different way to do it is to cross multiply .